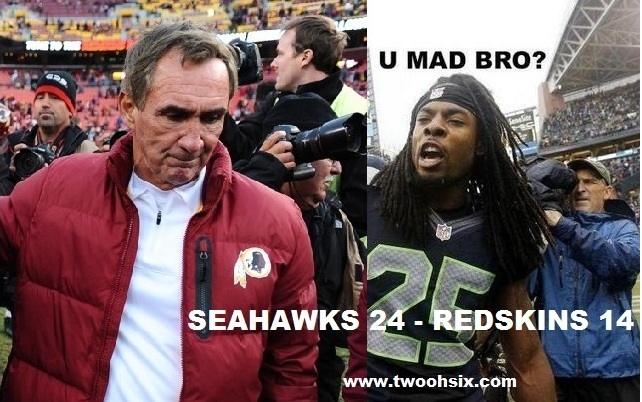 TwoOhSix.com: Seahawks Beat the Redskins! The Seattle Seahawks have won a decisive victory over the Washington Redskins and no win would be complete without a little controversy whether during or after the game. Fan favorite Richard Sherman was once again involved in a post game conversation although this time around it went a little farther than just a few words exchanged like when he approached Tom Brady as the teams left the field in Seattle. 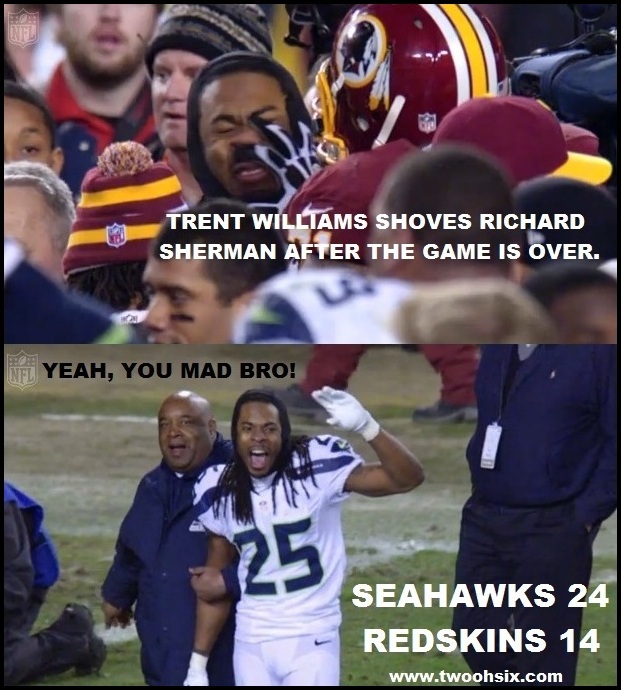 Sherman is always good for a quote or two and his boisterous personality can sometimes rub opposing players the wrong way. Bottom line, he and teammate Brandon Browner make for the best cornerback duo in all of the National Football League. Stay tuned to see what happens what the Seahawks play the Falcons in Atlanta.